Your book could end up in a store like this! But for how long? This isn’t about where your book is available: I’ve already talked about distribution. This post is about when your book is available: how long it takes to get it to market; how long it stays there; and when it goes out of print. As with most of these discussions, control is pretty straightforward: indie authors maintain control and decision-making rights, while traditionally-published authors are slaves to the whims of their publishing house. But in order to get an idea of what it means and how important this is to consider, let’s break it down. This is not something that a lot of people consider when thinking about publishing, but it’s an important element in the publishing journey. All the advice I’ve seen on this subject agrees that the shorter this time is, the better. Readers need to be fed early and often. Time to market includes all the time you spend after finishing your book until the time it first appears on sale and people can buy it (or pick it up for free). This is important in the current reading climate because readers are hungry for books. If they read one of yours and like it, they’re likely to look for more. If they have to wait a long time for the next book, they might forget about it (and you!) and move on. Frequent releases also provide additional bumps in sales for your other books, so are a good way of keeping your name popping up in front of readers’ eyes. In self-publishing, it’s possible to keep this time short. Editing and cover design tend to be the variables that push this time out the most (and you shouldn’t skimp on these), but with coordination and focus, this can be streamlined. Formatting (particularly for ebooks) can be a fairly quick job, and publishing on the major platforms is quick and easy. From there, they take a day or so to go live (maybe a week to reach every sales shelf, depending on the distribution network updates). This whole process can be anything from weeks to as short as a matter of days. Self-publishing print books (excluding POD) takes a little longer, as you have to wait for proofs, approvals, and the actual printing to be done. POD (print on demand) incurs a delay for proofs to be sent to you and approved, though some stores may let you skip this step (however, it’s good practice to check your proofs, so it’s not advisable to skip it). In traditional publishing, the story is very different. First of all, you have to find a publisher to take you on. This can mean months or years of writing letters and synopses, submitting, being rejected, submitting some more, and waiting for that delicious contract offer to appear. It can mean going through all of this to get an agent, and then waiting for the agent to secure a publishing contract on your behalf (a lot of advice will tell you that this is actually the best way to go, but I won’t go into the reasons here). There is an indeterminable time here that is impossible to judge. One thing it is never is quick. Even authors who have already published under a traditional contract have to go through this process, though they may be able to short-cut the submissions and go straight to their publisher (it’s not unusual for different series to be published with different houses, though), and they should already have an agent. But let’s assume that you get that contract offer, sign the d0tted line, and hand over your completed manuscript. From there, a year’s delay is normal. The editing process takes a long time and your book has to be scheduled to fit in with the publishing company’s printing press commitments. That means that everything else they are publishing is affecting your book’s fate. There are also market reasons that might delay your book: a publisher might hold your book back so they don’t release ten books about steam trains in the same season and glut their own market; or they might want to hit a particular school holiday with that new wizard series. You have no control over this. It’s unusual for a book to be released within a year of being signed (and the completed manuscript submitted by you). It’s not unusual for it to stretch out longer than that. Series are a little different; sometimes, a publisher will release instalments in a series close together. However, they’re likely to want them completed and submitted from you well in advance. Months is the norm here. The real questions: how important is speed to you? Are you willing to wait? What about the opposite end of your book’s life? What about that point when it is stripped off bookstore shelves (real or virtual) and consigned to literature history? With ebooks and POD, this need never happen. There’s no physical stock taking up money or space anywhere, so your book can live on the virtual shelf for as long as you like (if you have self-published and retained control, of course). Paper books, however, commonly go out of print. Whether self- or traditionally-published, at some point, someone is going to stop keeping that stockpile. Storefront space is a premium and costs money, and bookstores will only put out books they can sell. 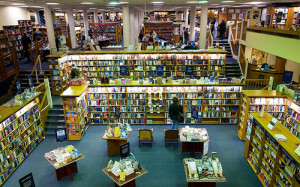 In fact, bookstores will send surplus stock back to the traditional publisher if it isn’t selling well enough to justify the cost of the storeroom and shelf space it takes up. This is usually a matter of weeks after the book’s release; your book has a very small window (3-4 weeks) to grab sales before it is consigned to the ‘failure to be returned’ pile. If it sells in that time, the stores might retain a couple of copies for its shelves and only return the surplus bulk. Otherwise, it’s back to the source with all of it. The publisher must then decide whether to try another big push with the book (this is rare); usually, they will slash the price and sell it off through clearing houses and discount stores. The next step in the process is to stop printing any more of the book and to let it fall out of print when the bookstores have run out of whatever stocks they decided to retain. Traditional publishing contracts should all have a ‘return to author’ clause, which means the contract (specifically, the publisher’s license to your work) ends after the book has been out of print for several years (usually 3-5, I believe). For books published electronically under a traditional contract, ‘out of print’ is usually defined as sales below a certain threshold. It is important to understand what out of print means to you and your work, so you understand your rights. 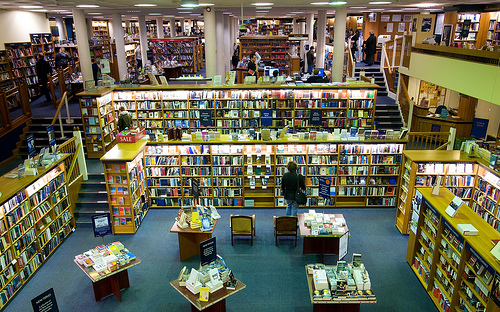 Traditional publishing relies on big-bang sales at the beginning of a book’s life. Self-published authors can take more time about it. Some of the data being gathered on sites like Smashwords are showing that sales patterns for books are not driven by their release date. Some books have a slow boil and break out later; others have a big bang and then tail off; others still do a mix of these things, swinging up and down wildly. Even better, there are things that an author can do to help lift their sales (I’m in the middle of that process myself) and rejuvenate a book that has been out for a while. But this all means that the book has to still be out in the stores for readers to buy. The real questions: do you care how long your books are available for? Do you have faith that a publisher will handle your book the way you want it to? Personally, I like having a book with sales that are continually ticking over, and I like being able to release (and re-release) editions whenever I want to. I’m not waiting on anyone’s timetable except my own. This suits me and I have a few plans to use this to the fullest advantage. Traditional publishing has its advantages, but I don’t think that availability is one of them.